hi there please can you help me with sending smses it doesn't matter what settings i change in configuration tab i'm just not getting it...so everything else works but that. i opened port forwarding to my pc range 5000-6000 also in firewall using windows 10. You can't send a SMS via VoIP/SIP. SMS is a service of mobile networks. 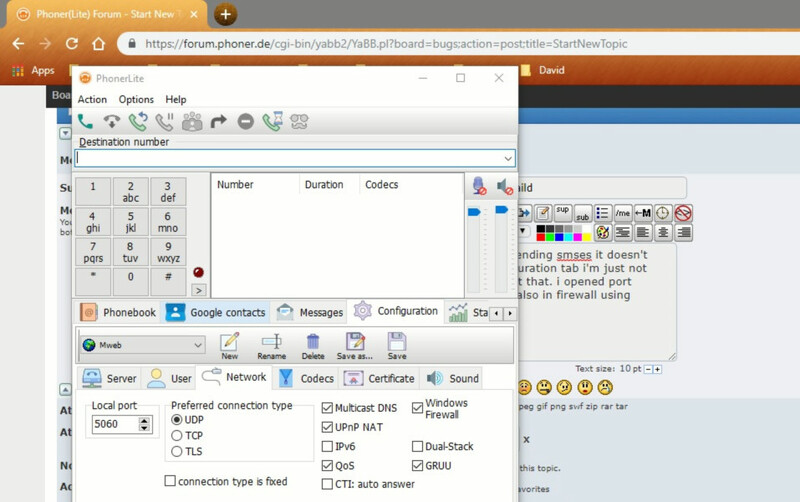 With PhonerLite you can just do voice calls using a SIP server.